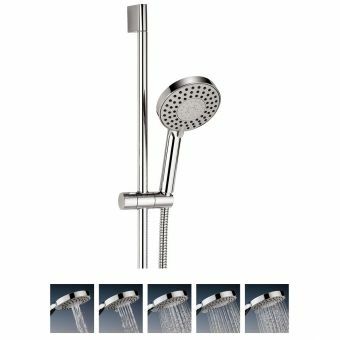 Seductive and awe-inspiring, this premium shower set from Crosswater sets the standard for all other shower installations. 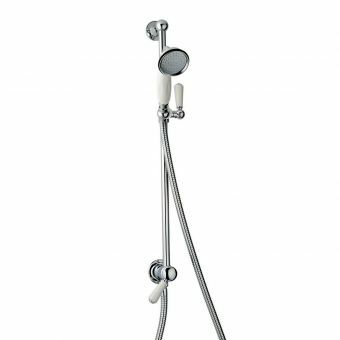 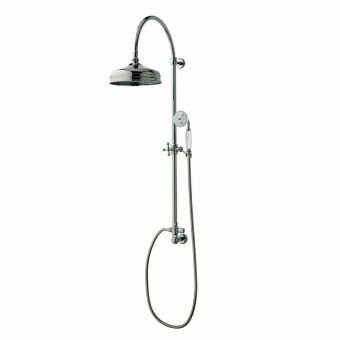 The coveted Ethos name lends itself to this outstanding value for money package which includes a showerhead, shower rail and shower hose. 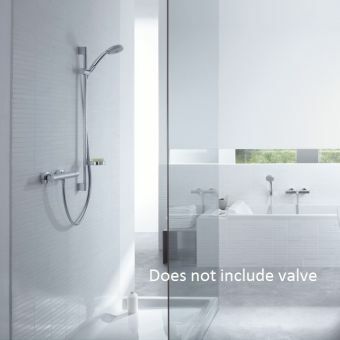 All parts are coated in glorious chrome that will blend perfectly with all of your other bathroom brassware and with a minimum of 1.0 bar of water pressure on hand, you will receive the showering experience you've always dreamed of. 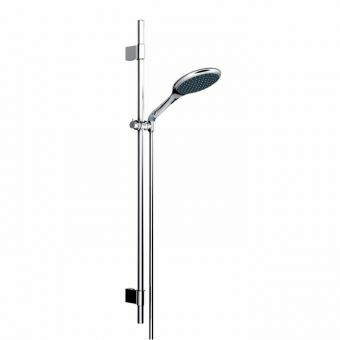 The shower head is a generous 120mm in diameter and a simple movement of the control allows access to three different styles of spray to suit your own personal needs or mood. 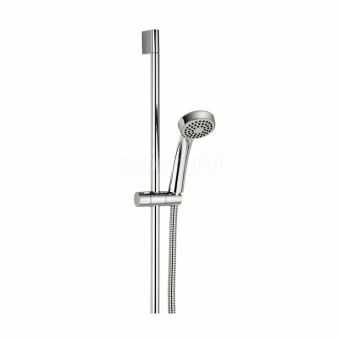 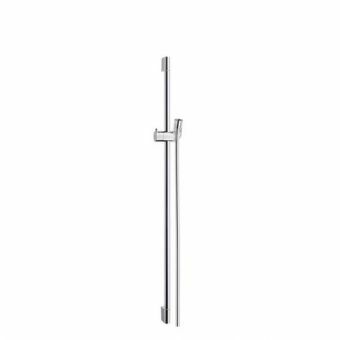 Height adjustment of the head attached to the rail can be carried out swiftly by pushing the button to the side and a lengthy hose of 1.5 metres allows you to move the head wherever you want, making it easy to clean down the shower enclosure without effort.